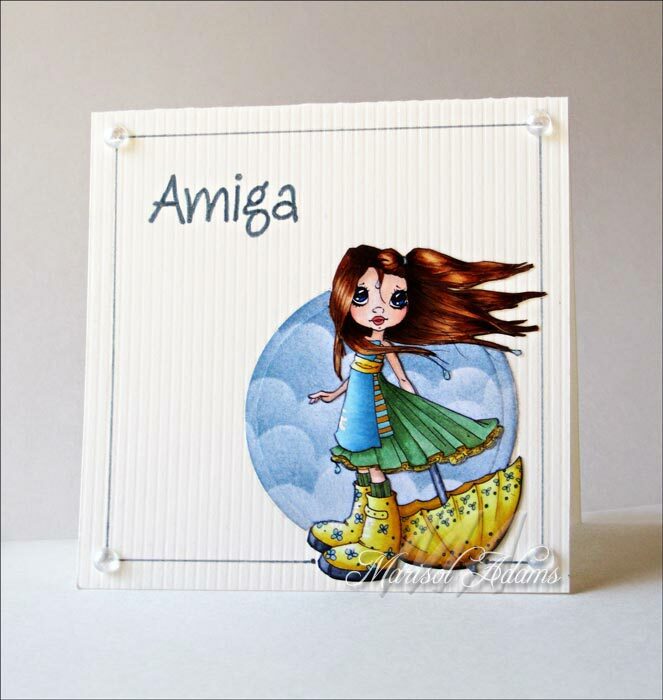 This card was made with my other purchase from Saturated Canary - isn't she a sweet little digi? 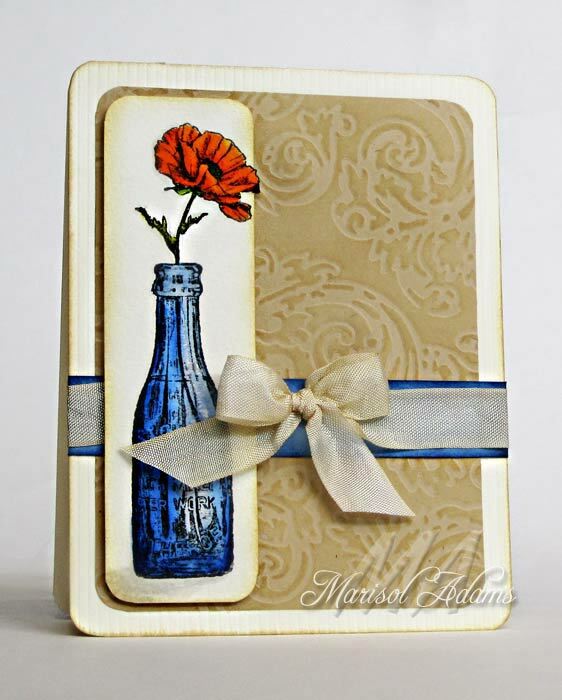 (although I admit, I have my eye on several more) The whole card is very simple, just perfect for a quick note. I cut the base down to 4 1/4 by 4 1/4 to fit the size of the digi better. I can't even believe that it's been that long! Let me just tell you, the last couple of months have been a whirlwind of activity. My cousin was in the home stretch before her wedding and we were right there pulling with her! :) I had offered (months ago) to cut her favor boxes on our die cut machine. Little did I know that it would prove so very difficult! Note to self: don't offer to do something that you will have to "learn" before you can do it... it just doesn't work out well! The whole thing finally culminated in me realizing and admitting that I just don't have what it takes to operate Funtime (the software our cutter came with) and buying MTC. In the end, they did come out well, and I'm *very* glad that I was able to do it for her and her groom. Unfortunately, I forgot to take pictures when they were completed - all I have is some iffy pictures taken at the reception. 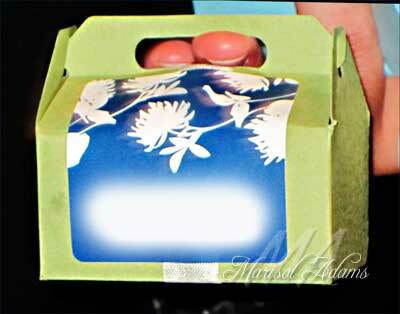 There were three different types of boxes - pillow, pinch & gable - and several styles of both the pinch and the gable. I spent a day with a bunch of family right before the big day folding, adhering, stuffing, wrapping with ribbon and affixing stickers (which came with their invitations) to keep everything together. We had a great time! We also folded programs and made tissue paper and organza flowers for the rows of seats at the ceremony. I can't believe we did all that in one day! The other main thing leading up to the wedding (besides the shower) was the bachelorette party. There was a time ( a very long time ago!) that I was quite the party girl. We had quite the time - my crafty girls and I - coming up with all sorts of crazy things to make and do! ;) We made matching shirts for the girls that were there (and I used my Crop A Dile for major craftiness! and had to hunt at a bunch of stores for more eyelets) and a "veil" that would put ANY bride-to-be in a shame-coma! We were on a roll... cupcakes and jello shots, jewelry and flashing lights, matching shirts and indecent straws... we had it all! I can't show you pictures of that night, but maybe someday I'll get a picture of one of the shirts and post it. We truly outdid ourselves - and I can't thank my girls Robin & Jess enough for all their help. Also, in my spare time, I've been volunteering in my son's classroom. So far I've been helping do the weekly testing on Thursday mornings and helping log the kids into their reading program each morning. Oh, and I just went through my first major PTO sponsored event - the Halloween dance. Hoo boy! That was a whole *lot* of hours... rewarding, but exhausting! 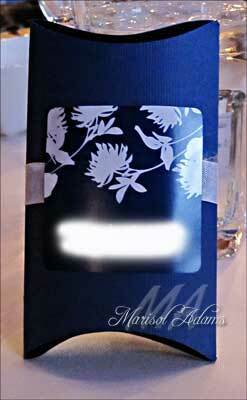 So finally, after all of that, I want to share the wedding card I made. Hopefully neither the bride or groom will think to check in here before they open all the gifts and cards! I found this lovely bride image at Saturated Canary on Etsy. 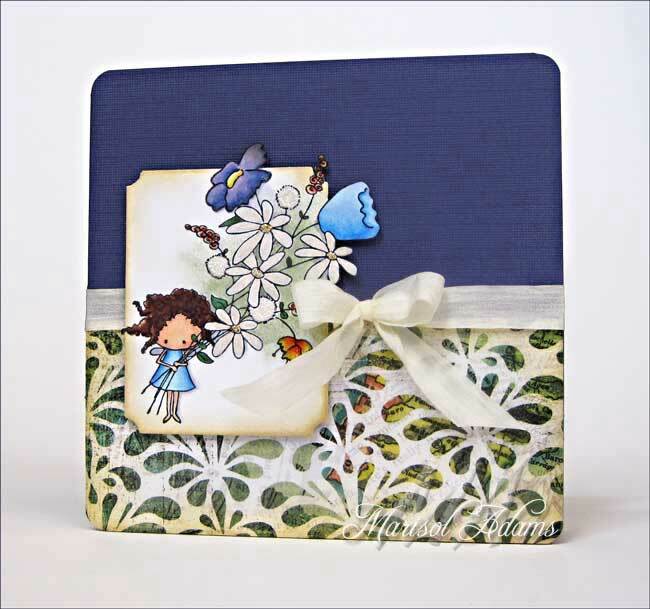 You may recognize her style of images from a well known stamp company... but I'll let you discover who and where for yourself if you're interested. Thanks so much for dropping by! Hopefully things will settle down now and I'll be back to regular (ish) posting! :D I may have gotten two other pictures that were even worth editing! 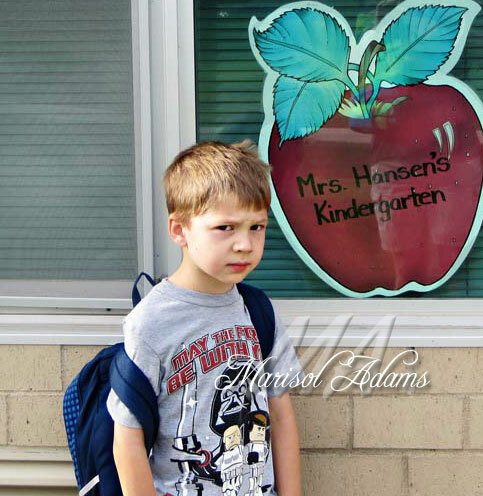 While I know that starting Kindergarten is a trial for most kids - this has been especially challenging for us. Talk about a grumpy kid! And since he's my kid there is NO possibility of a nap after school. *sigh* Let's just say that there have been a lot of "interesting" evenings around here! So. Due to that whole situation (and a few other things) I have had a half finished card sitting on my table for more than a week. It's still patiently waiting. Hopefully the cat doesn't do anything destructive before I get back to it! 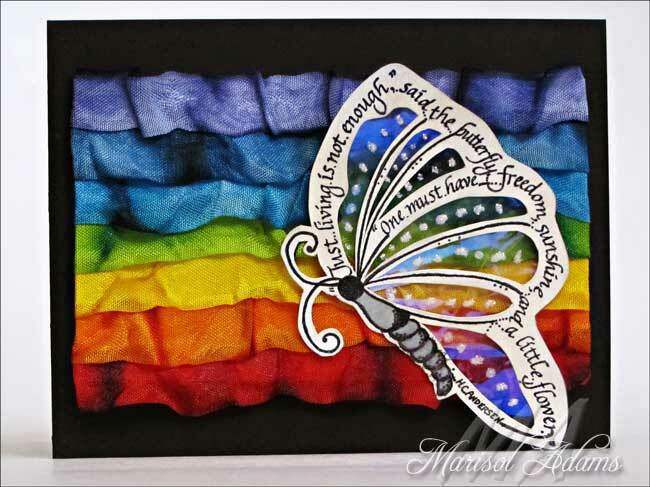 Another thing that has caught my eye is this melted crayon project. I got so excited that I bought all the supplies already and am just waiting for a few minutes to begin melting. I'll let you know how it goes! Finally I added the die cut leaves (colored with DI & spattered with water) and the rolled flower (also colored with DI but a bit of Distress stickles and PP mist added) to the corner to help cover some of the adhesive. On the back are a couple of tabs to help it stand up. On the whole I am quite happy with how it turned out! I do wish that my font was bolder (it's harder to see IRL) but not enough to keep me from enjoying it. When I was still a working girl I made a lovely friend, Joan. Her birthday was this past weekend and we were invited to her party up in Estes Park. It was a lovely day up in the mountains - with just a touch of rain and gorgeous temperatures! :) My boy was able to climb rocks (which he told us over and over on the way up that there were good rocks to climb there, no THERE!) and take his first turn at a pinata. I often miss those friends that I made at BMA... hopefully we'll see each other more often now. Here is the card I made for Joan's birthday - I hope she loves it! The glass was colored with a mix of Copic markers and distress inks with a water pen. The flower was colored with watercolor markers and a water brush. Unfortunately, you can't tell that I followed Dina's instructions for adding dimension to the flower. I don't think I used enough pressure to really get the petals popped up. *sigh* Oh, well. 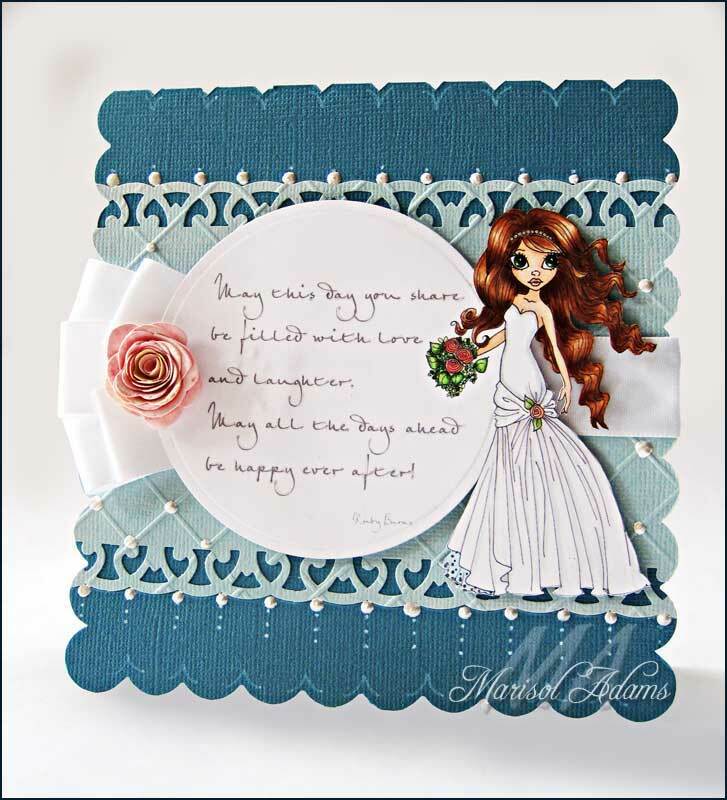 Inspired by a gorgeous card! There are several things that just don't show up well in the picture. First, all those ribbon strips *sparkle*! I used a generous mix of Starburst Stains, Glimmer Mist, Perfect Pearls mist and Color Wash sprays. I had to get creative with the orange ribbon, but I had at least two values of each of the other colors. (that's why it looks dark and light on each ribbon - it's by design, not poor camera lighting!) IRL you can see the shimmer from nearly every angle - not so much in the pic. There was no real technique here, basically I just spritzed and dragged the ribbon through then scrunched and let them dry. Easy but I had VERY colorful hands for a few days. 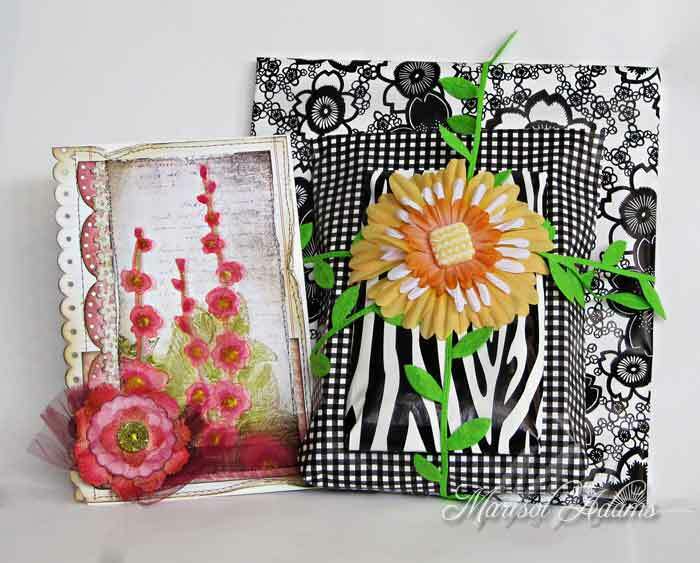 ;) To finish them I cut a piece of white cardstock to size, ran it through the Xyron and adhered the ribbon in layers. I trimmed the ends and taped them down with scotch tape then added some foam tape to the back for height. Everything seems to conspire at once, doesn't it? Almost immediately after my last post I found out that a friend from high school had passed away. It seems so strange - here we're not even 40 yet and already death has visited. :( I guess we try to prepare ourselves for the deaths of our (older) loved ones, but it rarely crosses our minds to prepare for it to happen to someone our own age (or younger). Rest in peace, Tricia. I got the idea from a card at Archivers that I saw recently. They used a different Pixie stamp but didn't have it in stock. 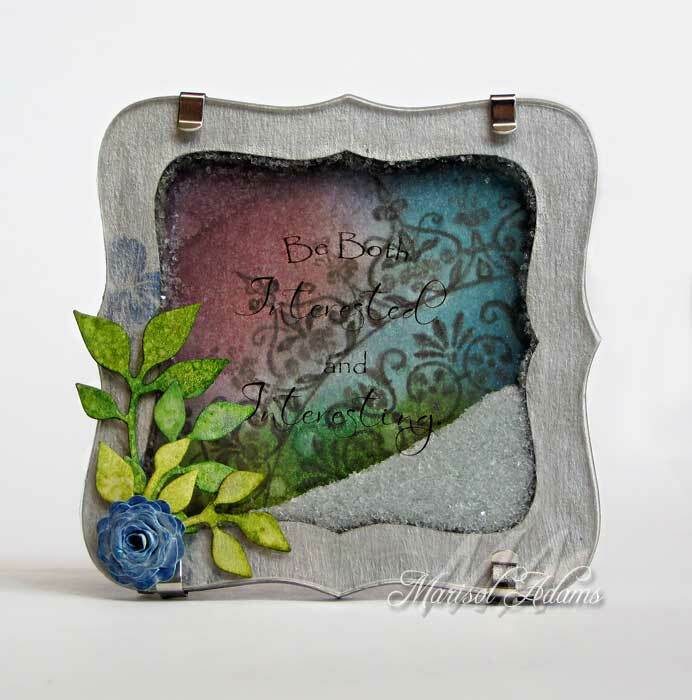 This is Paisley Pixie from Stamping Bella - isn't she cute? My girlfriend has brown curly hair (well, me too just not as dark) which is why I chose to color her with dark hair. 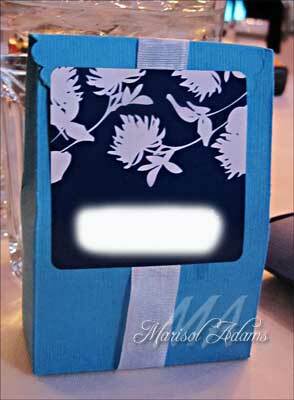 :) I stamped Paisley on a piece of nice white card stock and masked the flowers. 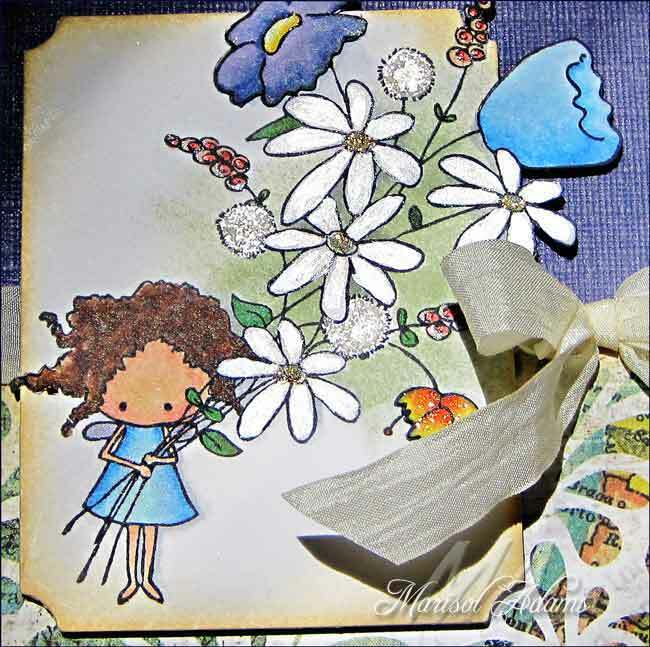 After blending in a little DI in the center I removed the mask and colored the flowers and pixie with a mix of Copics, Smooch, colored pencil, Perfect Pearls mist, Stickles and Spica pen. Whew! Once the image was fully colored I used the TJ technique called Out of the Box to cut her out with my Nesties and Cuttlebug. If you'd like to see a tutorial on this technique you can find it here on SCS. After it was cut out I edged it with more DI (being very careful not to bend the overhanging pieces). Paisley was popped up over a piece of Basic Grey paper and a simple white ribbon (which I added some stickles to! ).